Shawn retired from the Army after 22 years and numerous duty stations including Germany and three tours in Iraq. 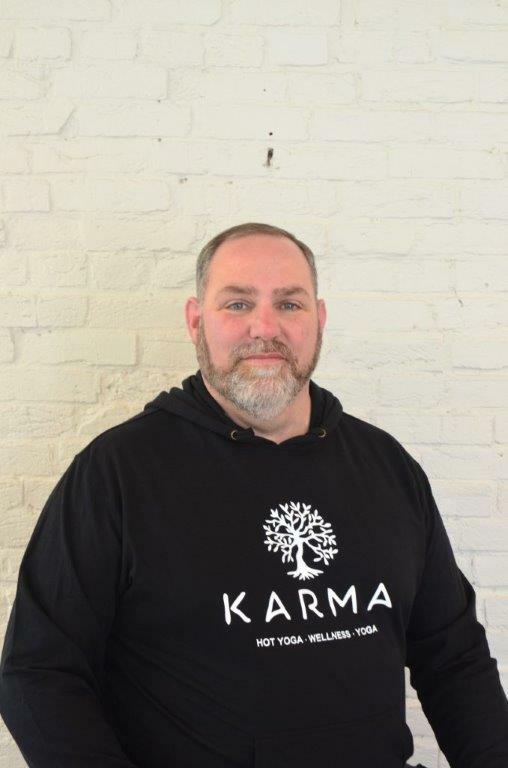 He has taken classes in many different styles of yoga at his different duty stations, ending up here at Fort Knox and Karma Yoga. He continues to learn daily and is willing to share his experience with others so they too may enjoy the benefits of yoga. With a little bit of inspiration from some Karma yoga instructors, he completed his RYT200 training in March 2018. He earned his Bachelors in Information Science from WKU in 2012 and hasn’t looked back. KARMA School of Yoga and Wellness. A Yoga Alliance Registered 200hr Yoga School.